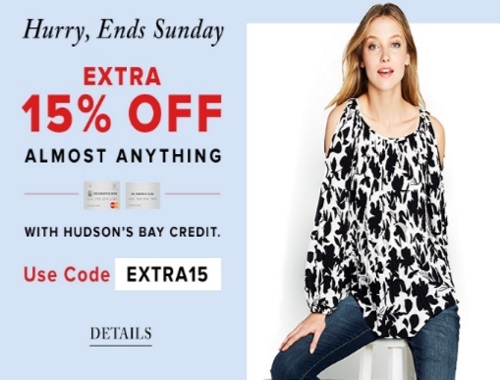 Hudson's Bay is offering an extra 15% off almost anything when you pay using your HBC Credit Card or Mastercard this weekend, starting today! Enter the promo code EXTRA15 at checkout to get the discount. Offer is valid until Sunday January 22 2017. You can also get 2000 bonus HBC Rewards points with select skincare purchase (when you pay any way). This is redeemable for a $10 Hudson's Bay gift card on your next purchase!